For over two decades, our firm has proudly served families throughout Los Angeles County. Our team of experienced Los Angeles divorce attorneys is dedicated to providing affordable legal counsel without sacrificing compassion, integrity, or quality of service. 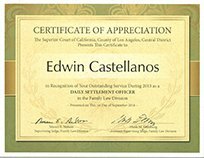 Our founding attorney, Edwin Castellanos, works very closely with the Los Angeles family courts and is highly regarded in this legal community. Namely, he has received awards for excellence the past three years for his work at the Stanley Mosk Courthouse downtown as a Settlement Officer and Mediator in the Family Court Law Division. In addition to utilizing his accounting education from the Stern School of Business at New York University, Edwin's firm offers full-service divorce and family law representation both in English and in Spanish. At Castellanos & Associates, APLC, we understand that not all family law concerns occur during the divorce process. Some issues may arise as a prelude to the marriage breaking up and others may need to be addressed a significant amount of time later. Other family matters may not involve divorce at all, such as welcoming a new addition to the family through adoption. The ability to effectively communicate with your legal counsel is essential to any client-attorney relationship. At Castellanos & Associates, APLC, we recognize our Spanish-speaking clients' need to speak candidly to their family law lawyer without the barrier of an interpreter. Our lead attorney Edwin Castellanos speaks Spanish fluently, allowing him to communicate directly and effectively with our Latino and Hispanic clients. Additionally, we have a bilingual website available for individuals who are more comfortable reading in Spanish. To speak with someone who is able to talk with you about your case, contact us today! Why Choose Castellanos & Associates? Ending a marriage or domestic partnership is a major life decision. Still, you should not have to remain in an irreparable or destructive situation. Whether your breakup is amicable or combative, our team of experienced Los Angeles divorce lawyers can help you move on to a new life. We act in the best interests of our clients and don't actively seek lengthy litigation or other unwarranted measures that might unnecessarily increase your family's financial burden. A smooth, satisfactory resolution that benefits all parties involved is always our first choice. However, if necessary, we have no reservations about taking your matter to court in order to protect your rights. Our team of Los Angeles divorce attorneys uses a collaborative approach, in which at least two attorneys provide vital insight into your case at all times. We value and respect your input into family law proceedings and work with you through every step of the process. 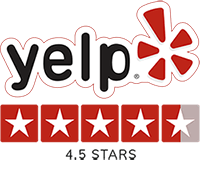 At Castellanos & Associates, APLC, we hold fast to the principle that professional and high quality legal counsel does not have to come with an outrageous price tag. For more information about how we can assist you with your family law matter, call us today at (323) 212-5599 to arrange a free initial consultation!